Q: Hello, Santa. I can’t believe I’m speaking with the real Santa Claus! A: Well, belief is what it is all about, Angela. Q: Is it really about belief, Santa? 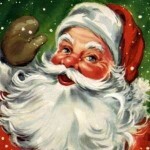 Why is believing in Santa important today? A: It actually isn’t about believing in Santa, it is about belief. Q: Belief? Belief in what? A: In giving. In peace. In Christmas. It certainly isn’t about me. Q: Is non-belief ruining Christmas, Santa? A: Absolutely. Some have twisted it to make it all about themselves. Christmas is about others, not self. It always has been. Q: A lot of people cannot help associating what is selfish about Christmas with you. How do you respond to that? A: I say that’s silly. I don’t promote selfishness in any way. In fact, quite the opposite. 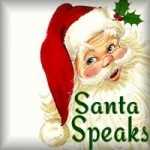 Q: How do you fight the critics who say that Santa is a bad idea for kids? A: Well, I certainly don’t force myself on anyone. Christmas isn’t about me and those who celebrate Christmas without Santa are fine by me. I don’t believe I am harmful to children. Q: Recent surveys suggest that you are not as popular as in times past. Does that concern you? A: In a way, yes. I wonder if we’re working hard enough to spread the message of Christmas. Q: Christmas doesn’t seem to be any less popular, Santa. People seem as crazy about it as ever. A: Yes, but my job within Christmas is unique. I try very hard to teach the world what Christmas is all about, so they will give to each other and celebrate peace together. Q: Christmas brings a lot of jobs, plenty of money and folks never seem to have a shortage of gifts or a good time. A: Oh, those things have nothing to do with Christmas. Q: They seem to be what Christmas is all about for some people. A: Sadly, that is true. And that is why I think that maybe we’re not working hard enough. We need to change that. Q: So you’re worried then? A: Oh, a little bit. Q: Santa, if you ask me, you always seem to be all about the kids. Why not focus all your hard work on adults for a change? A: That is tempting but children are the future. If I work on them now they will observe Christmas better as adults. Q: But aren’t today’s adults yesterday’s children? A: True enough, they are. Again, maybe that’s why I say we should work harder. Q: What does that mean? How do you exactly work harder to change people’s ways of Christmas? A: Well, it’s not like a lot of things in the world. I can’t just go on Oprah and spell it out to everybody. The secret cannot be found in a movie or by writing a book. There are lots of ways of changing the world but I’m not looking to change the world, just the hearts that populate the world. We’re trying to reach one heart at a time. Q: Does the fact that you are less popular now mean you’re losing the world? A: No, because Christmas isn’t about me. That’s actually something I’ve been fighting for centuries. Too many times the focus is on me and I don’t like that one bit. A: I’m just a man. Christmas isn’t about me. I wish the world didn’t even know my name but they know all about me. They know where I live, what I like to wear, what I like to eat and everybody knows I’m coming every Christmas Eve. They know too much, I think. Q: That’s interesting, Santa. Do you mean to tell me that you want to do your work in secret? A: Oh, yes. A gift bringer loves to give without any notice at all. The focus should be on the gift, not on the giver. But I get a lot of attention that isn’t necessary. Q: Maybe you should change things up a little bit, perhaps go with different colors or a different hat. Drive something other than a sleigh. What do you think? A: No, no. I couldn’t do that. Besides, many people get it. When some people don’t want their real identities known they will dress up like Santa in a suit and with a beard and go about giving and doing good while disguised like me. That pleases me very much. If I had my way all the world would be dressed like Santa on Christmas and that way no one would know who is who! Q: That would be interesting. Why should giving be so anonymous? A: Because love is something all should feel without expectation of anything in return. Christmas is ultimately about love. The world too often puts a price on these things. Q: For a man who craves anonymity you sure are getting more attention this year by doing your Santa tracking on the radio. A: Yes, we’re looking forward to that. It should be fun. Q: But won’t all those radio reports give the world too much information about where you are and when you are coming to their house? A: Oh, I don’t think we’ll be that specific. It is all about fun and anticipation and enjoying Christmas together. We think it will help bring the world together to do this. 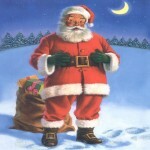 It excites us to know that maybe the kids in London will be listening when Santa visits the kids in India. It is another way for us to share Christmas together. Q: Santa, is the world losing the meaning of Christmas? A: It is easy to think that sometimes. But you have to look at Christmas on a personal level. I think with hard times comes humility and with humility comes greater love and concern for others. And that feeds right into Christmas. So while economies grow and shrink and wars are fought and lost and elections are held the world of Christmas survives because it is above all that. Q: Are you worried about the world? A: Of course I am. I think most are. I would hope that we could feed more people, educate those who are disadvantaged, help folks to support themselves. That is always something to worry about. But I am one man and just one man. I try my best, and many others do too, to make a positive impact on the world. I love this life. Q: How is the world different for, say, the kids you used to visit in the 1980s? A: That was a great generation of kids. So smart, so capable. They are now parents and many are doing a fantastic job. They embrace technology, they value education. I think they are doing a great job. Q: Do you take any credit for that? Q: Oh, c’mon, Santa. You’re a big deal! Why wouldn’t a kid from the 80s or any other time list you as one of their role models and influences? A: Because I’m a once-a-year kind of guy. Most folks don’t think of me until Christmas Eve and others not until Christmas morning. They never think of me or have a reason to in April or July or September. Q: Maybe you should change that, too. Come a couple of times a year. Maybe show up in the middle of the day for a change. A: Nah, my job is big enough and hard enough as it is. I’ve got my hands full. Besides, I don’t want to be more than what I am. I’m an accessory, a condiment, of sorts. I’m not the entree and I’m certainly not the outfit! Q: You sound a little trapped, Santa. Almost like you’re set in your ways. Do you ever think of breaking with tradition? A: Never. There is a time and a season for that but not in my role. There is a lot to be said for tradition, especially as it is associated with Christmas. Tradition is a teacher of what has always been right and there is much about Christmas that has always been right and always will be right. I’m all for change and progress. But not at the expense of the sacred stuff of tradition. Q: What is sacred about Christmas tradition? A: Giving. Peace. Worship. Love. Hope. Q: I thought you would have said reindeer, candy canes and snowmen. A: Heavens no. Those are elements of Christmas. But not traditions. The world needs to know the broader themes of tradition and honor them. Love never goes out of style. Q: Speaking of style, that suit seems a little big on you this year. Have you lost weight? A: I don’t know. Maybe it was stuck in the dryer a little too long. Q: I’m not kidding Santa. You look seriously skinnier this year. Are you feeling ok? A: Never felt better. And I continue to eat very, very well. Q: I have some questions here from a few kids I polled. One of them is about cookies. Are you still eating cookies, Santa? A: Oh, absolutely. I love cookies. Q: They really want to know what your favorite cookie is. Kids everywhere want to make you your favorite cookie. So what is it? A: Wow, that’s a big question. Do I really have to decide now. I love them ALL. Mrs. Claus, as you know, makes a mean sugar cookie and I love those. But I really, honestly, truly, have never met a cookie I didn’t like. Last year, in Wales, a family left out an eggnog flavored cookie I had never tasted before. It was incredible. So light and flakey. Hardly any sweetness to it, just a tinge. It was perfect. I am constantly being fed great cookies as I get around the world and it is simply impossible to say which is best. I love them all. Q: They say you are the inspiration for the Cookie Monster. Is that true? A: I don’t know. But the Cookie Monster and I get along famously. He’s actually a really smart guy. Love him to death. Q: Do you know a lot of famous people, Santa? A: Sure I do. They are all former children. I knew most of them before they were famous. Q: Really? Do you know Justin Timberlake? A: Yes, yes I do. He’s a good boy. Q: Really, Santa? That’s awesome. What do you give Justin Timberlake for Christmas? A: Oh, usually something musical. I was thinking of maybe an accordian this year. Q: No kidding? I can’t picture Justin Timberlake playing the accordian. A: Neither would he. That is what makes it a nice surprise. I’m thinking about it. Q: Do you personalize every gift you give? A: Well, I try to. All kids are different. Some want things they cannot possibly use safely. Others want things that just wouldn’t be good for them. But I always try to find something that each child will enjoy. 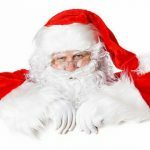 Q: Are you really a toymaker, Santa? Or do you just play one on TV? A: I love to make things, especially toys. I’m just a big kid. I never give a toy that I haven’t played with myself. Q: Aren’t you a bit old to be playing with toys? A: Oh, not at all. I’m no spring chicken, that’s for sure, but I love a good baseball game or a game of checkers or even playing video games. I like action figures, race cars, train sets and almost any kind of model out there. Even adults need toys and the ones they had as kids are as good as ever. A lot of the world’s problems would be solved if adults just went back to the toys they played with as kids. I love them. Q: You sound like you love what you do, Santa. A: I do love it. I have the best job in the world. I get to make toys, play with them year round, and then fly a sleigh around the world in one night delivering to people to make them happy. Who else does that? I have the greatest job in all the world. Q: Do you ever get tired of it? Q: Will you ever retire or hand the job over to someone else? 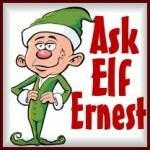 Q: You know, there are a lot of kids out there who want to be Santa or to at least work as an elf. Is that possible? A: Sure, it’s possible. This is a big job and there is work for everyone. We always need more elves. Q: I have a lot of questions from kids about Santa’s sleigh. Frankly, many of them just want to ride with you just once on Christmas Eve. Can that happen? A: Not likely. It just wouldn’t be safe. Flying in a sleigh at the speeds I travel is very dangerous. It has taken me years to develop expertise enough to do it safely. I cannot allow a child to go with me any more than a man who is an airplane pilot can allow their kids to fly their plane. It’s just not a good idea and shouldn’t happen. Q: That’s going to disappoint a lot of kids. A: Oh, I know. It disappoints a lot of elves, too. 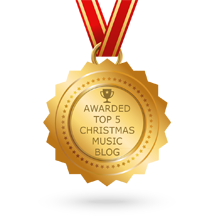 That is their number one request up at the North Pole, to be able to fly on the sleigh. And I just have to say no. Q: Is it hard for Santa to say no? A: Not really. It is not my job to give everyone exactly what they want. Q: Some people think that is exactly your job. A: Some people are very wrong. A: Ooh, I love Briana. Such a good girl. She always signs her notes “with love and holly”. What a sweet girl. Well, I’ll tell you Briana, you are making Christmas brighter for a lot of people just by being you. So that’s the first step. But I think you can help them by suggesting they work with you in doing something nice for someone else. No one can be grinchy while they’re thinking of someone else. That’s the answer. A: I’m certaiinly not hiding them. I am guessing that most the time you don’t see them because you are asleep. But I’ll tell you this, Reagan: the skies in Oklahoma as big and they should be clear this Christmas. If you stay up and watch out your window, you’ll see me, the sleigh and the reindeer eventually. A: Yes. It is too much. There are so many other things I could bring you for Christmas, Nora. You’re a good girl and you have an amazing talent with your art. I think I might bring you something to help with that. You’ll love it. Q: Do kids do that a lot, Santa? Ask you for things that are expensive? A: Sure, they do. It is normal enough. Nora is a good example. She’s 11 and a lot of kids that age want that iPod. Some kids get them from their parents but rarely will they get something like that from Santa. I try to work with parents about what is appropriate for their kids. Q: Are you saying an iPod is inappropriate? A: No, not at all. But sometimes there are things that are just better. Q: Is a year like this one tough with the new gaming systems coming out? A: Oh yes. There are always a few kids disappointed that they can’t get the latest and the greatest? A: Very few kids are ungrateful. Very few fail to understand that sometimes a gift isn’t possible or right for them. Most kids are very, very gracious. A: Tommy is a Virginia boy. So many good kids there! I love that he’s thinking of his mom and dad for Christmas. That’s wonderful. Tommy, whatever you do, make your folks something for Christmas. Don’t buy it from a store. They love that handmade stuff. Something with wood might be a good idea. Go see Mr. Gundersen down at the high school. You know the school I’m talking, that one about four blocks from your house? He’s a good guy and can help you out. Q: How do you keep track of all these kids, Santa? You talk about Tommy like you see him every day. A: I know a lot of folks but Tommy is one of the good guys. Always a treat to know a boy like Tommy. He and Mr. Gundersen will fit like two peas in a pod. I hope they get together. Q: How do you know Mr. Gundersen? Is he a shop teacher or something there? A: Mr. Gundersen is a former child. He got a wood burning kit from Santa for Christmas years ago and it sparked an interest in wood working. He keeps a little shop out behind his house. He’s actually a driver’s ed teacher. Very few people know he works in wood, actually. Q: That’s amazing, Santa. Do you keep track of all former children and believers in Santa? A: Absolutely, I do. I love them all. Q: I have more questions from kids than we have time for. What is your message to kids this year? A: Merry Christmas. Treat your Mom well. Listen to your Dads. Hug your dog. Eat your vegetables. Study hard. Play fair. Don’t eat yellow snow. And Merry Christmas. Q: You said Merry Christmas twice. A: I meant it both times. Q: Thank you, Santa. And Merry Christmas. A: Merry Christmas, Angela. Always, a Merry Christmas to you.